Starting a trend early of playing himself in comedy – Extras (series 2) showed the world that Daniel was happy to be a good sport and play with his clean-cut Harry Potter image. In this hilarious episode we see him swearing, smoking and hitting on any woman he comes into contact with. In the Twilight spoof episode 'Treehouse of Horror XXI' of the classic animation series Daniel voices Edmund. His soppy vampire attempts to turn Lisa Simpson vampiric, only to be thwarted, and thoroughly embarrassed, by protective fathers Homer and Dracula. Daniel has made several appearances on the surreal and hilarious animated comedy show. In the episode titled 'Hemlock Gin and Juice' he adopted an American accent to play 'Boy with Mullet' and also voiced a twisted version of beloved children’s character Thomas the Tank Engine. 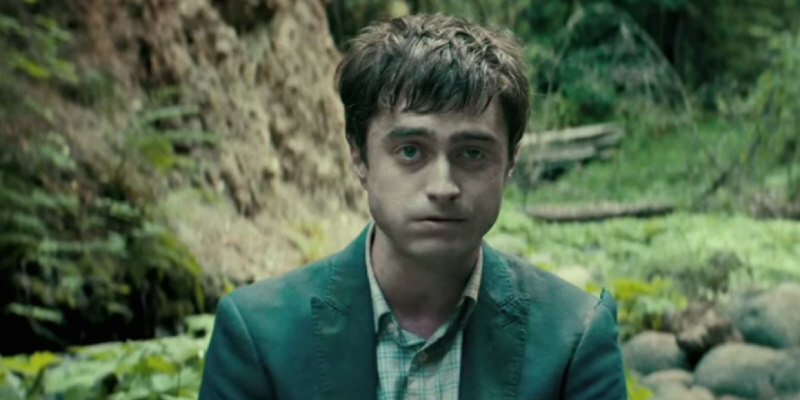 In this hit US comedy feature, Daniel plays Daniel Radcliffe playing 'The Dogwalker' in a prolonged cameo in a movie-within-the-movie of the same title. His character is the star of the pretentious, and utterly ridiculous, black and white film with his scenes opposite Marisa Tomei.